For “The Mrs. Carter Show” World Tour, which kicked off in Serbia in April 2013 and traveled through Europe, North America, South America and Australia, we saw thrilling performances from Queen Bey, listened and sang along to songs we’ve come to know and love and saw amazing African pieces. 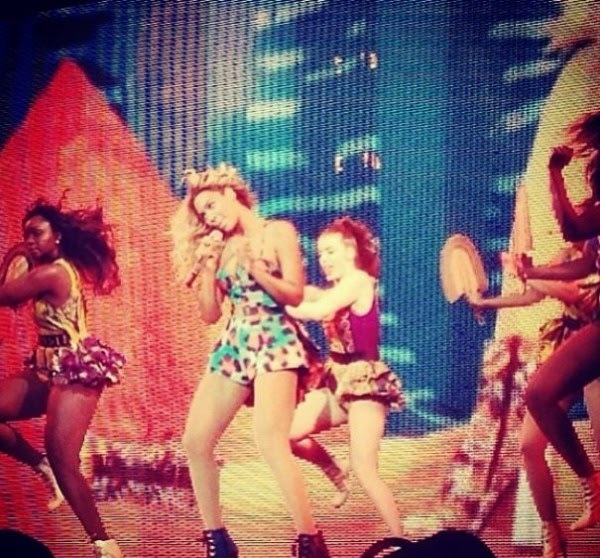 One of those that definitely caught our eye were the outfits worn by Beyoncé‘s dancers created by Ghanaian designer Christie Brown. Collaborating with Katrina Hernandez of Illustration by KH, they created outfits that featured a mix of colourful prints in peplum fashion. 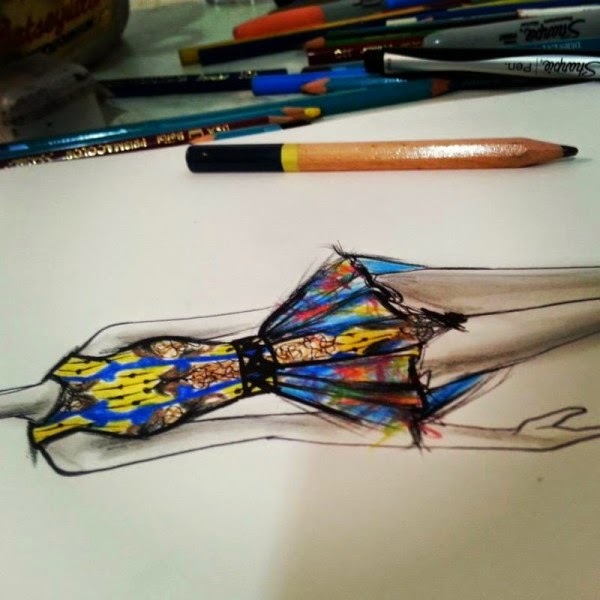 The pieces were inspired by the Dure collection by Christie Brown. 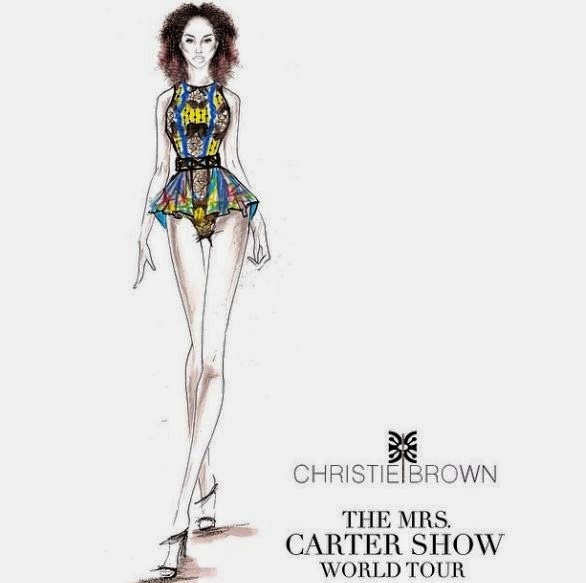 Speaking on the collaboration, Katrina said “Working with the design team at Christie Brown for Beyoncé the Mrs.Carter World Tour was an absolute dream come true“. See the illustration and more photos.